To complicate matters, there's no clear timeframe for when (or if) events will transpire. Already, manufacturers are coping with the rising costs of raw materials and subsequent pushback from customers with long-term contracts. For example, your firm may have been forced to find cost-effective alternatives or make certain concessions. So what's the forecast? For most manufacturers, it's “wait and see.” However, you can take several steps now to weather the storm and minimize potential economic damage. These steps can also help position your company to benefit from any favorable conditions that may arise. Negotiate and renegotiate: Even if the goods your company produces aren't directly affected by tariffs, you may be hurt indirectly by extra costs associated with materials like steel and aluminum. Take this into account when hashing out contracts. For instance, build higher supplier costs into new customer agreements. Analyze profit margins: Thorough analysis is necessary to help prepare your company for possible tariffs and rising materials cost. This involves deciding which costs your firm can absorb and which ones you can pass along to customers. Of course, you might also be able to find a satisfactory middle ground. Explore alternate sources: You might be able to avoid disruptions by tariffs if you can find alternative sources for supplies and materials. And be prepared to move quickly when warranted. This may include modifications to existing systems and processes to accommodate new business relationships. Have your professional advisors guide you concerning the logistics and legalities. Get into “the zone”: One way to cut costs may be right under your nose: Take advantage of free-trade zones (FTZs). These are areas where goods can be landed, stored, handled, manufactured or reconfigured, and re-exported under specific customs regulation. Generally, these goods aren't subject to customs duty. Join the club: Be aware that you're not facing these complex issues alone. To share thoughts and possible solutions, participate in trade compliance groups that focus on issues such as inventory and supply chain strategies, resource alternatives, and multiple data sources. Consider how your association can present a united front. And if you can't find a group? Start one yourself. Find an exclusion: Your company may be eligible for an exclusion retroactive to the date a tariff becomes effective. Contact the U.S. Commerce Department to request exclusions for aluminum and steel tariffs and the U.S. Trade Representative for China tariffs. The Commerce Department has been willing to provide exemptions from the 25% tariff on steel and the 10% tariff on aluminum imposed in 2018. Assess imports: Whether a product will be affected by a tariff depends on its classification. Therefore, misclassifications in borderline cases can result in unnecessarily higher costs. In addition, if imports of materials are currently subject to a low tariff or have no tariff, you might be able to stockpile those materials now. We can review your company's books and may be able to help you avoid unpleasant surprises. Contact us here for assistance. In any event, it doesn't make much sense to just sit back and wait for the other shoe to drop. 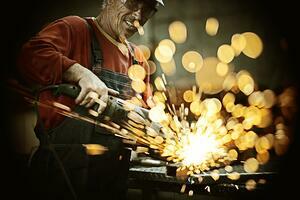 Be proactive about protecting your manufacturing company's interests.